The boat docks at the port of “La Savina” in Formentera. Each journey has an estimated duration of 40 minutes. The fare is only 22 € for adults (11 € per way). 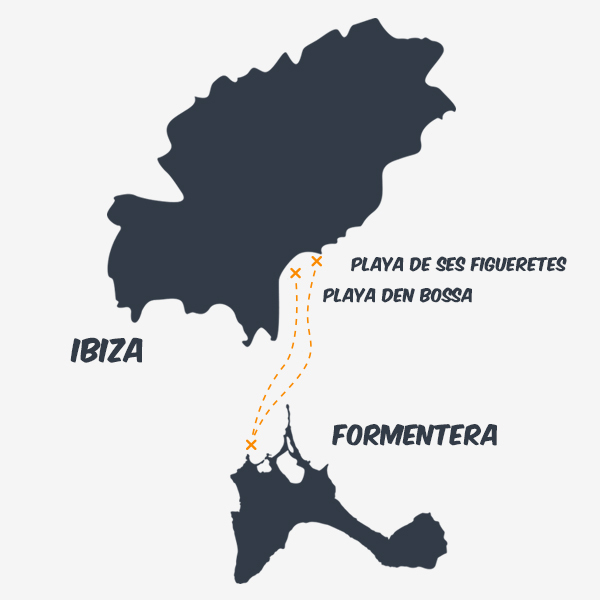 From the 01st of April, we start the daily excursion to Formentera. Check our schedules. (*) Please note: The returning time may change. We will inform you on board.